A dynamic and passionate team! CENTRE FARLEY offers you its full range of paint products. You will be able to enjoy our top retail sale of paintings including the Portico 100% acrylic int / ext of the MF paint brand as well as the Aura by Benjamin Moore. Our customers prefer these 2 major paint brands because of their coverage, the fineness of the finish and the amount of sq/fr per gallon being higher than for other competing brands. Benjamin Moore and MF residential paints are used by all family types for walls, skirting boards, doors and ceilings for beautiful, durable finishes. Our products distinguish us from most paint brands by their ease of application, coverage, ease of washing, durability and color retention. 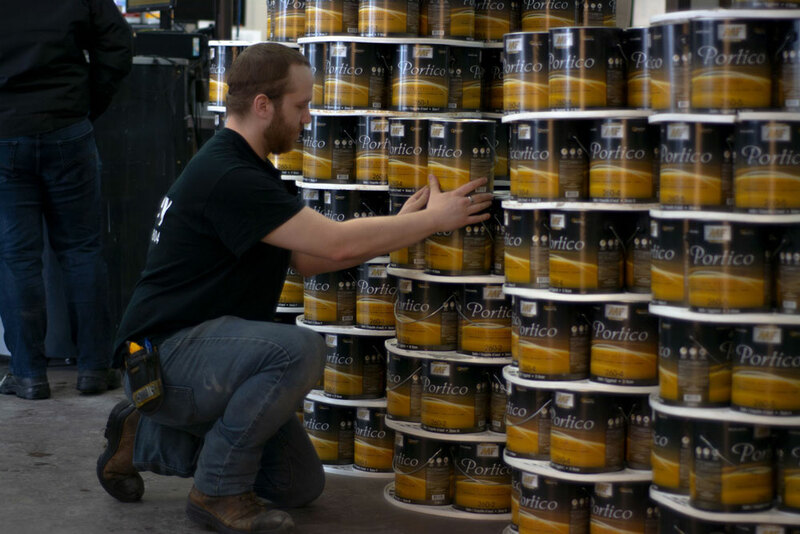 For successful painting in the Outaouais region, come and pick your products at the CENTRE FARLEY paint store in Gatineau. Our interior designers is here to help and can advise you in the arrangement of your colors.